"Communism: A Whole New World and the Emancipation of All Humanity-Not ''The Last Shall Be First, and the First Shall Be Last.'" "Marx said about the future world, the world of communism, that it will seem as ridiculous and outrageous for one part of society to privately own the land, and everything that goes along with that, as it now seems for one human being to own another. Communism will mean that we have reached the point where the very idea that the way society should advance is for a few to benefit and then to proclaim that to be in the general interest of the society, where that idea will seem so ridiculous and outrageous that in a certain sense, to put it simply, it couldn't get a hearing." "It is right to want state power. It is necessary to want state power. State power is a good thing-state power is a great thing-in the hands of the right people, the right class, in the service of the right things: bringing about an end to exploitation, oppression, and social inequality and bringing into being a world, a communist world, in which human beings can flourish in new and greater ways than ever before." "In socialist society, there needs to be struggle, and criticism/self-criticism, but there also needs to be "air" for people to breathe, room for them to disagree, allowance for them to come to the truths that Marxism reveals in their own way-and allowance for Marxism itself to breathe and grow, to discard outmoded concepts and analyses and to deepen its reflection of reality, as the liberating science it is, in opposition to suffocating religious dogma." 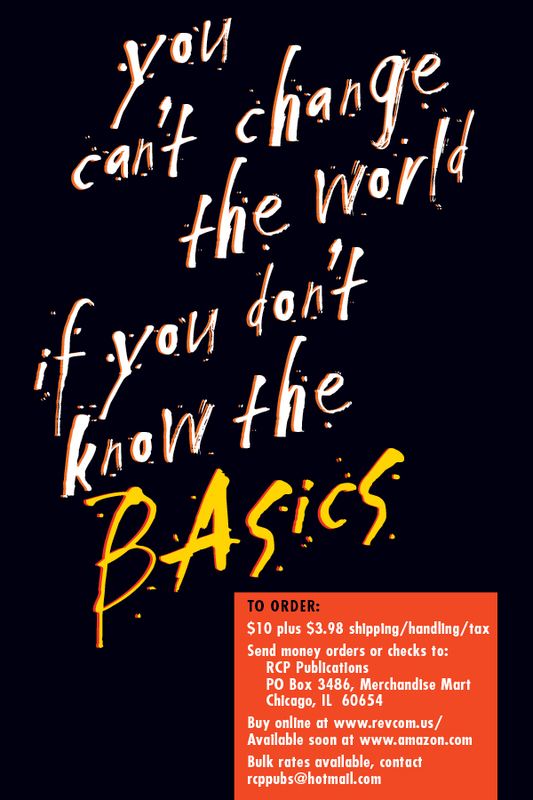 BAsics is a new book of quotes and essays from Bob Avakian, Chairman of the Revolutionary Communist Party, USA. BAsics concentrates more than 30 years of Avakian's work on everything standing between humanity and complete emancipation into a single concise book of essential quotes and short essays. 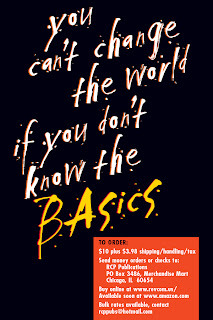 "You can't change the world if you don't know the Basics"